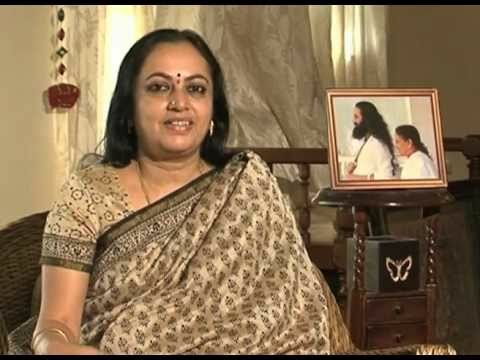 Bhanumathi Narasimhan, director of The Art of Living’s women and child welfare programmes, the Art of Living (AOL) founder Sri Sri Ravi Shankar’s sister. She’s the woman behind the 175-odd rural schools run by the volunteer-based humanitarian NGO. What’s more dear to you – religion or spirituality? Spirituality (smiles). It leads to the wholesome development of an individual and touches the deepest core of your being. It’s all-inclusive, it encompasses religion and more. Spirituality unites at a time when religion is still dividing humanity. 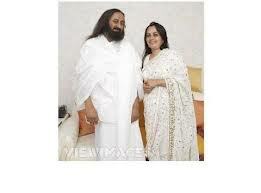 Lakhs around the world look at your brother, Sri Sri Ravi Shankar, as a man of God, if not some sort of modern avatar. What do you see him as? It is not a question of seeing; having experienced his divinity throughout my life, I fully agree with the lakhs of people who believe the same. How often do you pray, and are your prayers answered? Prayer is natural. When the heart is touched, prayer happens. I don’t count my prayers, and the blessings are in plenty. Which gender is blessed with greater potential to seek spirituality? Spirituality transcends gender. It is not about being a man or a woman. Science says that every person is made up of the feminine and masculine. You can identify yourself with one or another and be partial. But in spirituality, you rise above gender. When you meditate, you are not man or woman. You drop labels. Rock satsangs are a big part of the AOL atmosphere. What’s music got to do with spirituality? When the heart melts, music dawns, dance happens. Music is an essential part of the flowering of human potential. It brings refinement in our evolution. It is a significant part of spiritual growth. In the space of music, questions disappear, wonderment dawns. The publicity AOL receives, the fees charged ( 1,500 for a basic course) and the hard-sell have lent it the image of an elite spiritual tuition class. What would you say in defence? Spiritual practices free us from stress, bring enthusiasm, peace and joy. These are no longer luxuries. They are necessities. When a person benefits from something, they like to talk about it. So it is natural that AOL receives publicity. Further, the value that people attach to something is unfortunately measured in how much they pay for it. The fees then help a person stay committed to the practice. But once the benefits are experienced, perspectives change. The fees from our courses support our projects in rural areas. So indirectly, participants benefit from the merit of contributing to the betterment of society. A unique dialogue between Sri Sri Ravi Shankar and leaders from around the world on creating a stress free and violence free society. First online global meet of concerned citizens for stress free violence free society from across 60 countries. Join Google+ Hangout with Sri Sri Ravi Shankar on 26th January 2013 at 8:00PM IST, 10:00am GST, 3.00pm GMT. Theme : What can we do to make a stress free and violence free society? Visit http://www.youtube.com/artoflivingtv and +Sri Sri Ravi Shankar to post your questions. A woman has a great role to play in society: especially since she is peace loving. She can be a strong peacemaker; at home, in the community, in society and in the world. A woman by nature is multi-talented and multi-faceted. If she is well educated and well informed locally as well as globally, she can make the required positive change. All of us share our achievements and challenges. This certainly helps to broaden our vision and understanding of where and how we can contribute on the world stage. We can carry forth this inspiration to our respective countries to share among our people. As leaders, there are many who look up to us to bring about a positive transformation. We are very fortunate as educated women to hold so many uplifting and challenging positions all over the world contributing towards a positive change. It is our prerogative to provide opportunities for other women and girl children in society who are deprived of the same due to lack of education. We must educate the girl child and empower every woman. We have all seen that a woman is truly empowered when she has inner strength, peace of mind and Self confidence. These qualities, which are the greatest force of transformation, are the gift of Spirituality. Human values, compassion, caring – all these are also part of Spirituality. We, as women leaders, can globalize spirituality and take this message of human values, compassion and caring to every corner of the world. We can work together to bring a smile on the face of every woman. This would surely help to make the world a harmonious and peaceful place to live in. Sri Sri Ravi Shankar, founder of The Art of Living Foundation, inspires thousands of people across the world. He plays many roles for many people – as a humanitarian ambassador, spiritual leader or a meditation teacher, as well as a peace advocate. And I feel very grateful to be his sister.I have shared some of my experiences with him in the video. Aishwarya is Lakshmi or wealth and lordship. (see knowledge sheet on aishwarya and madhurya) . One may seem to have lordship through fear or power due to position but they are not pleasant. Lordship that comes out of love and respect has a different dimension to it. It is a true wealth in the relationship. Madhuryais sweetness – Sweetness in thought, word and action. It is our nature to be ‘madhur’ and in a pleasant state of mind. When we are stress-free and centered that sweetness comes to you. When we are pleasant, we create the same atmosphere around us. Others also feel relaxed, comfortable and ‘at home’ in our company even if they had come with a disturbed mind. This refinement of consciousness has the capacity to enhance one’s life and beauty. That is why so much culture is attached to religion. Otherwise it is very dry. The grandeur of churches for example takes you to a space of wonderment. The intricate beauty of temples also does the same. Its beauty creates sweetness in the mind and any word or action that comes from such a state is also of a pleasing and joyous nature. Saundarya is the beauty that comes from inner strength. Some people may not be very beautiful but they are very attractive. They have a certain inner strength in them that makes them truly attractive. That is Saundarya. How does one bring out this inner strength? That is through meditation and spirituality. The blossoming of our true self and potential happens effortlessly through spirituality. The mind is attracted to that which is beautiful. The mind likes to follow. But the goal is towards the self, the source of divinity within us. When we move towards this source, we cannot return empty handed. The Self is the true leader. The Self has complete lordship (aishwarya), is full of sweetness (madhurya) and is the source of all inner beauty and strength (Saundarya). So when we go towards the Self – the guru puts us on the path – we can become true leaders. Mantras – Sound vibrations that permeate every cell of your being and allow your mind to dissolve and repose. But what are they? What do they mean? Where did they come from? There are so many questions surrounding these ancient syllables. Speaking about Mantras is the revelation of ancient secrets that have been kept sacred from several ages, secrets that continue to benefit humanity irrespective of its circumstances. Why should we repose in the Self? How is this going to help in our day-today life? Who is a Guru? Why do I need a Guru? How do I recognize a Guru? Do I have to search for my Guru, or will my Guru find me? What is the relationship between a Guru, and a disciple? These are some often-asked questions by any seeker on the path. There are many who can give answers but only a Guru can transform questions into wonder. Only the Master can take you to that space of wonderment where there is no duality. Spirituality is an inward journey from the outer world of names, and forms to the subtle inner Self. The physical body is gross, and limited. The breath is subtle. The mind is subtler. The intellect is even more; the ego, furthermore. The Self is the subtlest. To the infinite depths of our beautiful being – it is the Master who guides us, and takes us on this journey step by step. The Guru is an embodiment of wisdom, and love. In Sanskrit, the word for gravity is Gurutwakarshan. The earth holds us towards itself by the force of gravity. Without this attraction or love, we would not have a base, or a foundation. Similarly, Gurutva is the basis of our life. The Guru is the guiding light – removing the darkness of ignorance. A Teacher can give knowledge, but the Master brings a heightened awareness. A Teacher can give information but the Master awakens intelligence. Shiva replies, “Dear Parvati, for the benefit of all humanity, I will answer your question. It is to the all-pervading Guru tatva that I bow down.” In the many beautiful verses that followed called the Guru Gita, Lord Shiva explains the Guru Principle, and says how fortunate one is to have a Living Master in his life. The Guru in the physical form is called pratyaksh. In the presence of the Master, our enthusiasm, and spirit is in an elevated state – sorrows diminish, joy wells up, there is contentment, knowledge is nourished and protected, and talents blossom. India honors a tradition of Masters who have protected, and given this knowledge to us, generation after generation, according to the need of the age and time. When a drop feels connected to the ocean, it feels the strength of the ocean. When we are connected to this tradition, we feel the strength, and protection of all the Masters. All these Masters are an expression of the same Infinite, Undivided, Supreme, Pure Consciousness. The Guru is a tatva – an omnipresent, omniscient, omnipotent principle. Establishing connection with this tatva is the source of greatest strength. We know we have forefathers, great grand parents and so on. Yet we feel most attached and connected to our father, or grandfather because they are with us. Similarly, we have many Gurus in our tradition, but when we come in the presence of our Living Master, the connection is established immediately. The entire knowledge from time immemorial is made available to us. A disciple seeks knowledge. A devotee seeks nothing. A devotee is soaked in love, and devotion. Gurupurnima is the day of the devotee. When the river meets the ocean, the river no longer remains a river. It becomes the ocean. It is the same when the devotee meets the Divine. Only Divinity remains. The individual ‘I’ dissolves in the One Divinity. When we look at the world through the eyes of the Master, the world will look so much more beautiful – a place filled with love, joy, compassion, and virtues. The Master is a presence that is unlimited, vast, infinite, and all-inclusive. The presence of the Master in one’s life brings fulfillment to all other relationships. To the Lotus feet of My Master, I bow down.